Florida! Put a Woman in Statuary Hall! Florida’s current representatives in Statuary Hall: John Gorrie (1803–1855) and Edmund Kirby Smith (1824–1893). 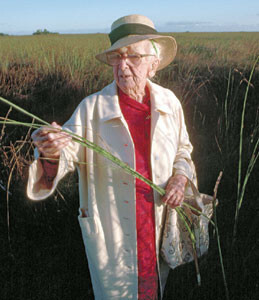 EVE’s proposed candidate for a replacement statue: Marjory Stoneman Douglas (1890-1998), conservationist and writer who devoted her life to preserving the Florida Everglades. EVE State Coordinator for Florida: Open. Contact Dr. Lynette Long at president@equalvisibilityeverywhere.org if you are interested in volunteering.